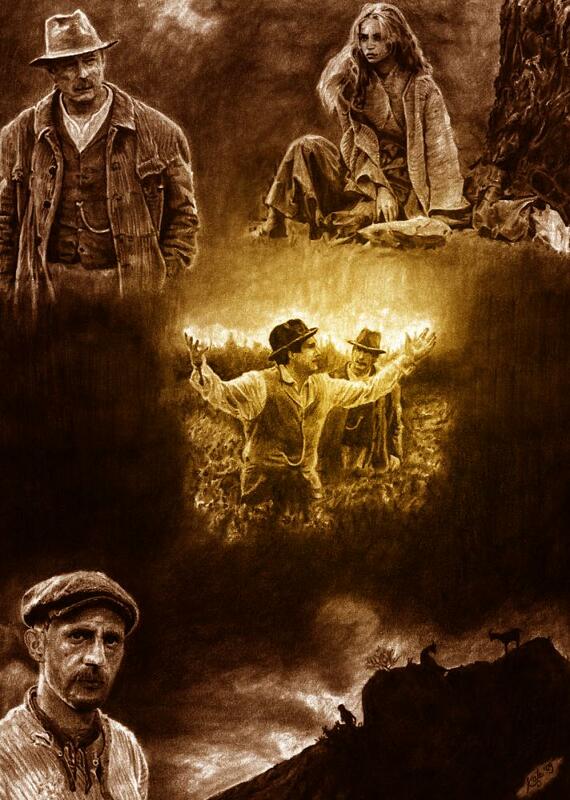 These are scenes from two movies adapted from the novels by French author Marcel Pagnol. They were shown in theatre in 1986, and Gérard Depardieu looks incredibly youg there ^^. If you have the chance to watch them, GO AHEAD! I think that they have never been translated (I’m not sure about it), but subtitles DO exist :-). Those very sad movies take place in Provence, Southern France, the first one in the 1910s and the sequel some ten years later. The big deal of the story is the eternal lack of water in those very dry areas…and what people are capable of doing to keep a fresh water spring for themselves. Water is worth killing for. It's an amazing picture. I love your stuff.